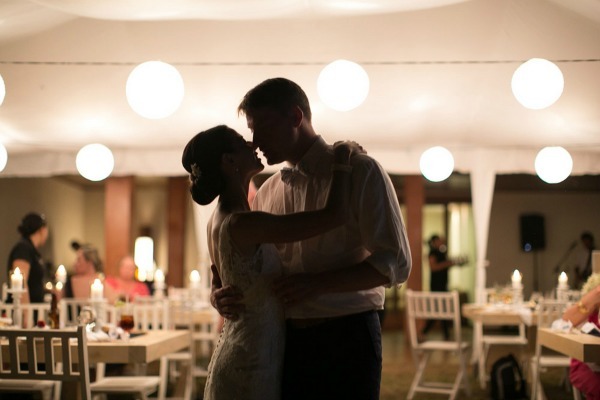 So lovely to be back with you today and I can’t think of a better way to kick things off than with this absolute charmer from fine art wedding photographer Katherine Stinnett (we adore her work, just take a look at this Barbados feature which went viral on Pinterest!). 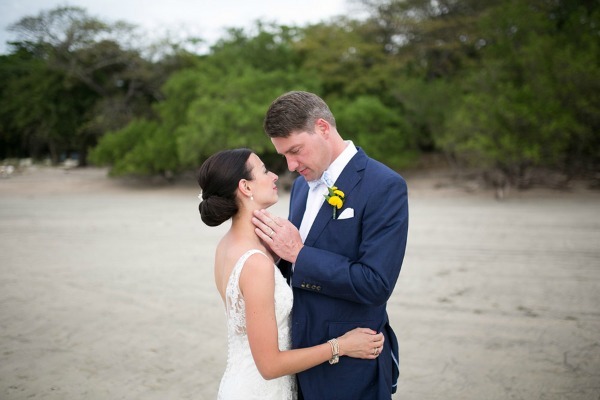 Today’s beautiful couple managed to have the serene, laid-back affair they envisioned in tropical Costa Rica while stunning florals, cozy outdoor lighting and sleek, elegant touches added another layer of romance as the joyous event unfolded! 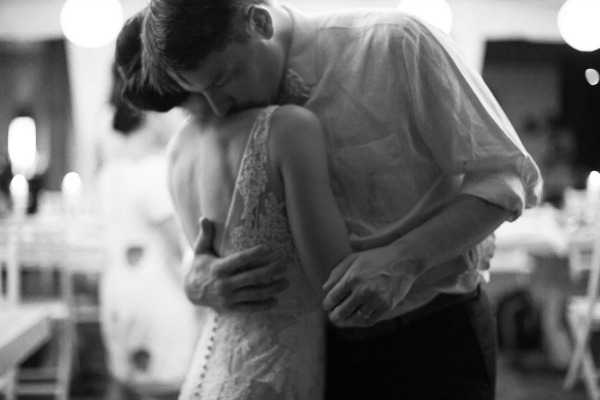 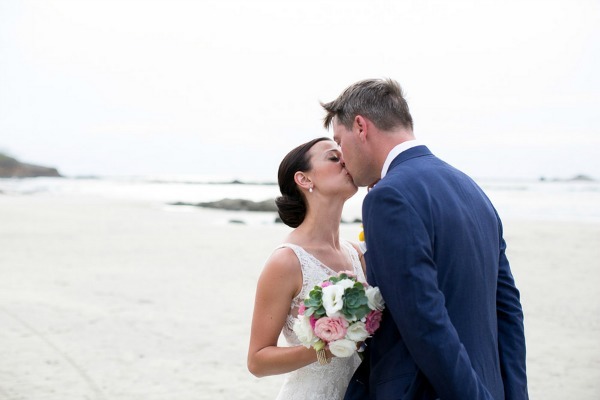 From Katherine Stinnett Photography: While looking for wedding venues, Stefanie and Josh knew one thing – they wanted to be married barefoot in a relaxed, intimate setting. 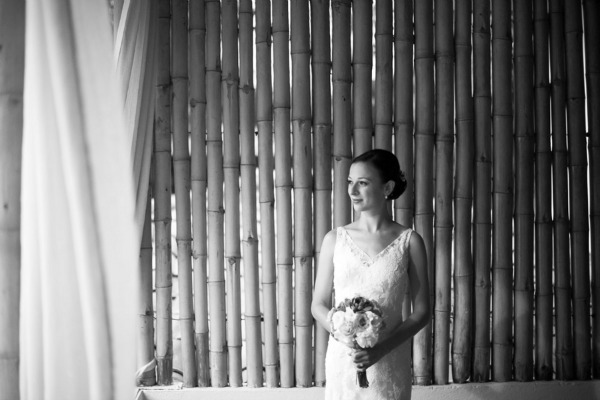 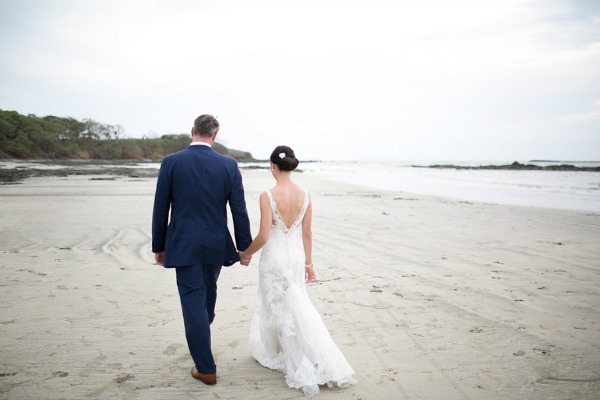 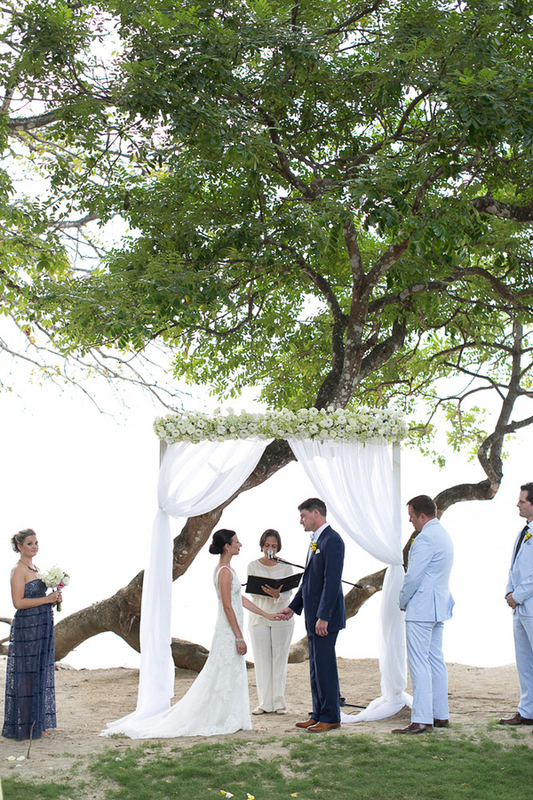 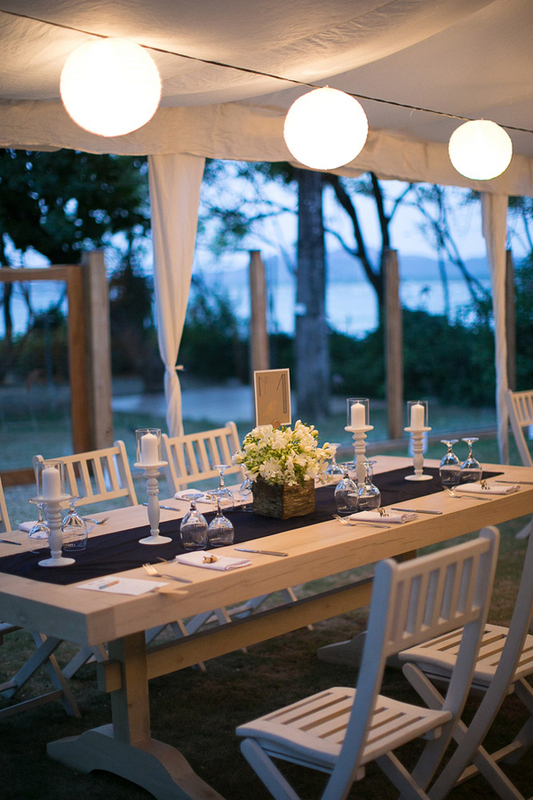 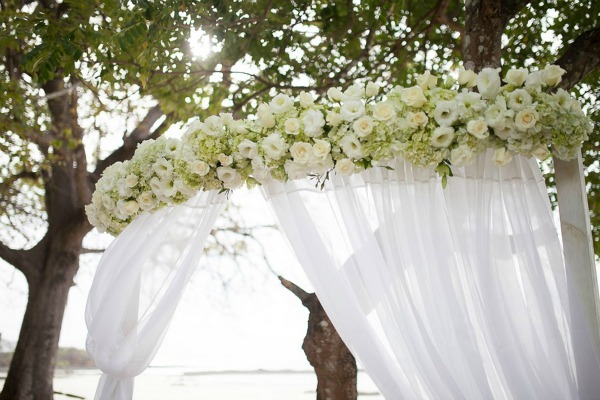 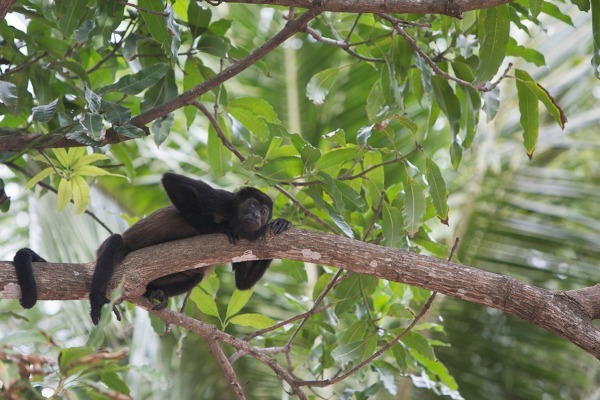 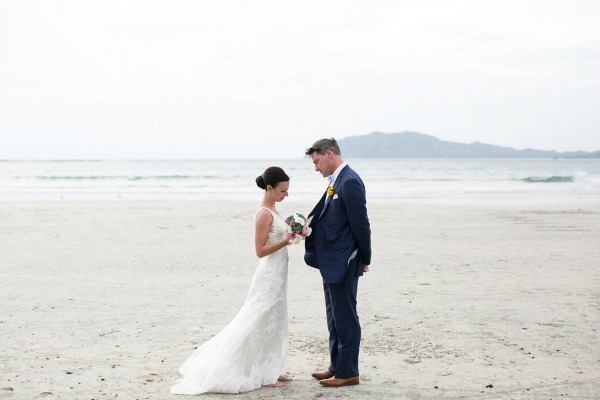 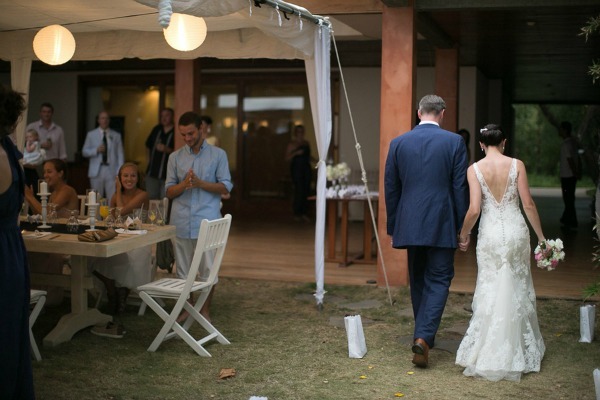 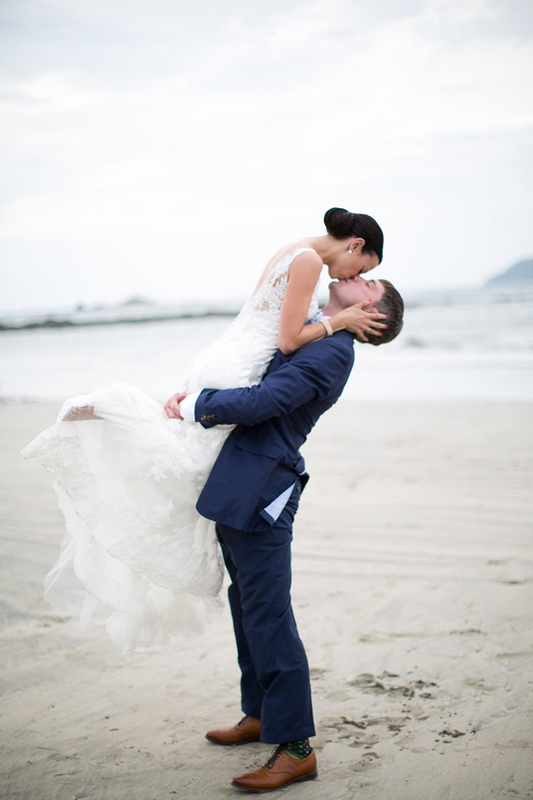 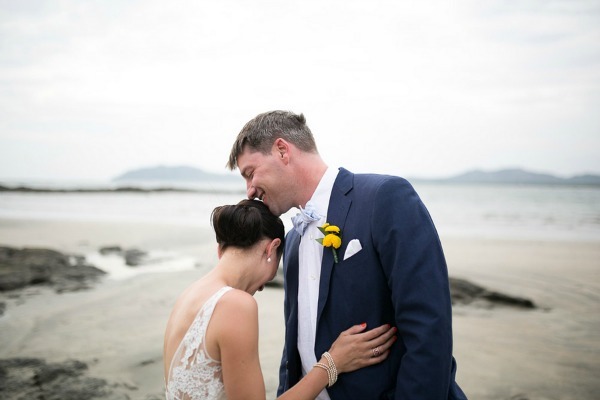 The couple decided on the tropical beaches of Playa Tamarindo, Costa Rica and invited their closest friends and family to join them. 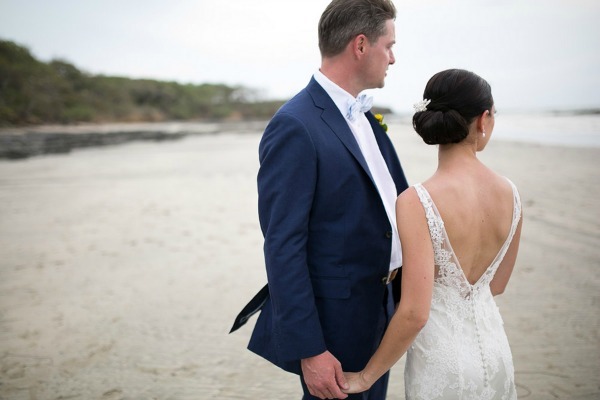 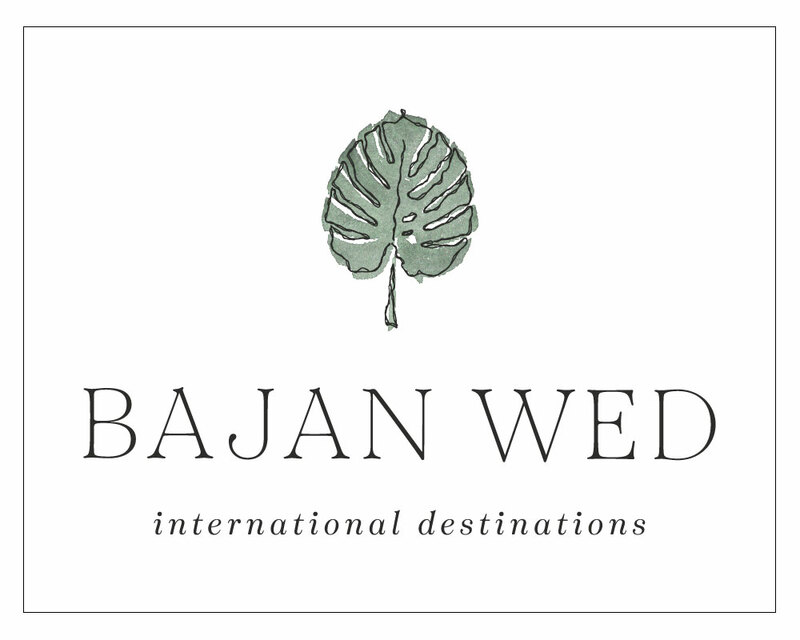 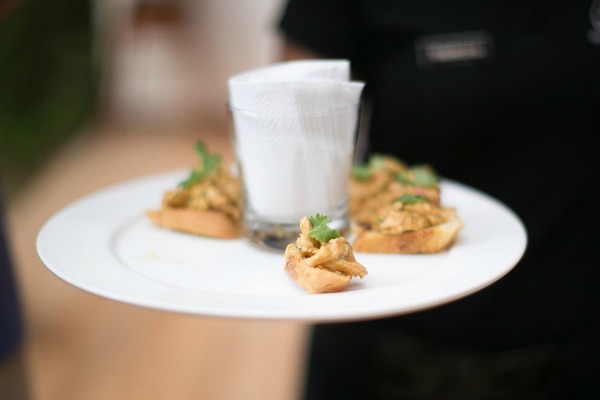 The couple found local planning company Liquid Wedding to assist in making their vision come to life perfectly for a low-key, fabulous destination wedding. 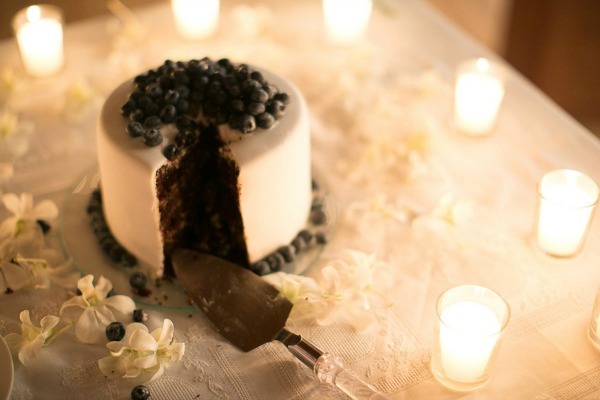 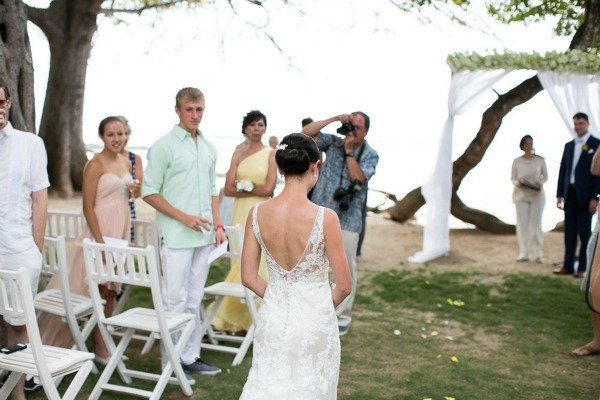 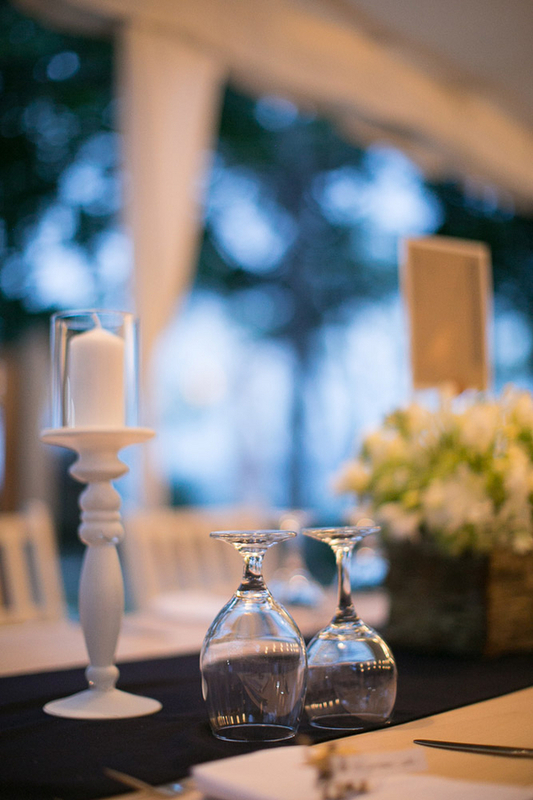 Following a simple beachfront ceremony, the couple and their guests enjoyed a local barbeque under the palm trees. 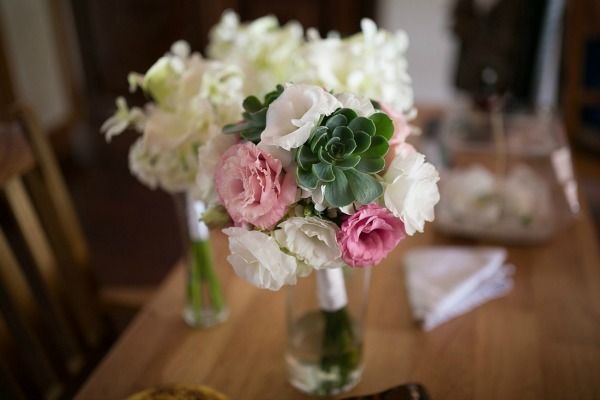 The sister of the bride created the centerpieces, table numbers, custom ad-lib games, and cootie catchers. 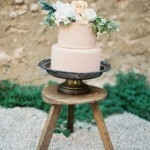 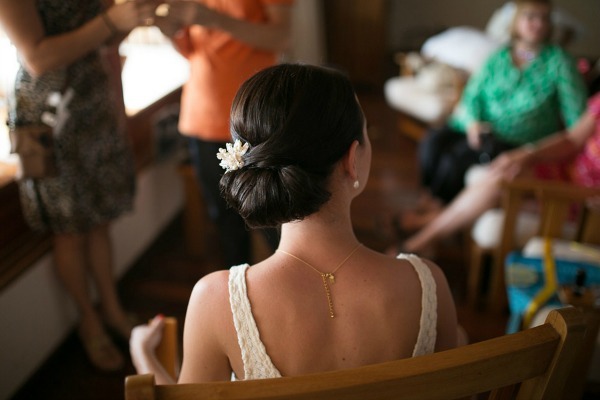 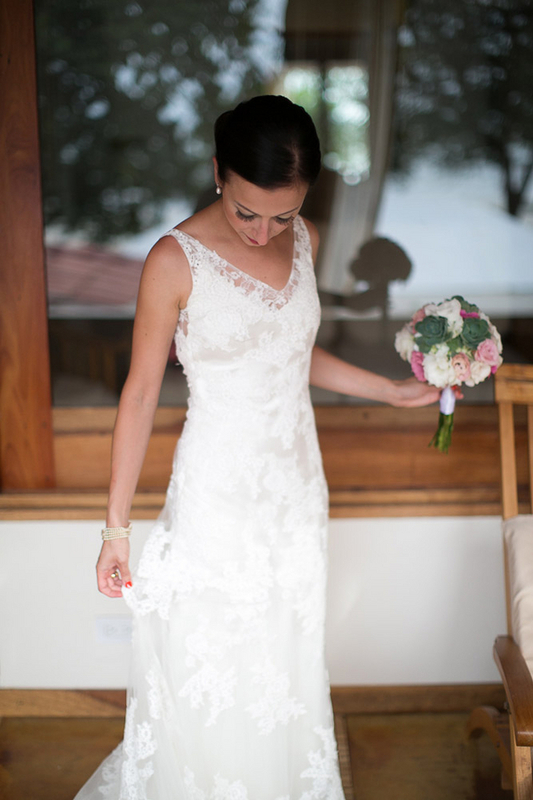 Love the laid back feel of this wedding and her dress was so gorgeous!! 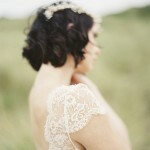 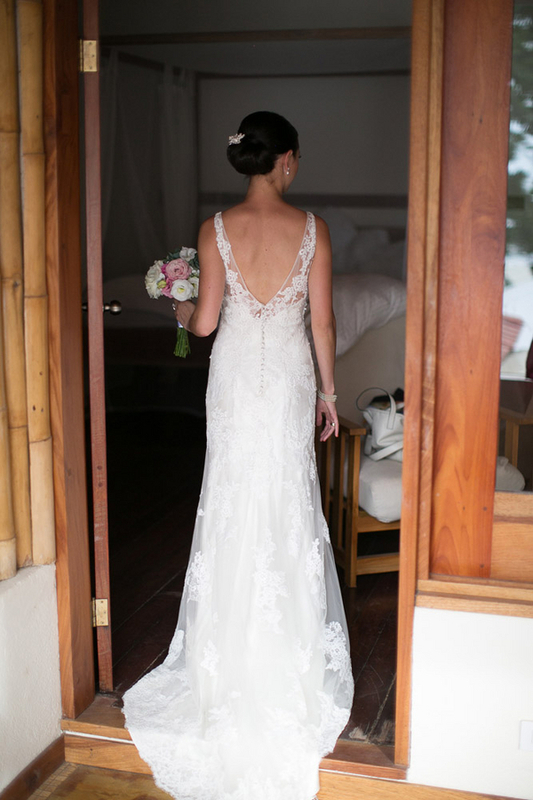 Definitely, I love the intricate detailing of her gown!